At ProSource® of Spokane, we know the kitchen is often the room in the home where family and friends come together to cook, entertain, and enjoy each other’s company. When you partner with us, we’ll connect you to a design specialist who will help your kitchen flow and operate just how your client wants. And remember, we offer all of this at affordable, wholesale prices that can meet your and your client’s budget. Choosing the shape, color, wood type, construction, or brand for your client’s kitchen cabinets can be overwhelming to say the least. Our design experts can help your client decide they’ll appreciate for years to come. 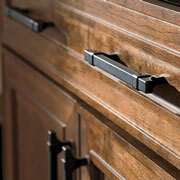 Is your client wanting knobs, hooks, pulls, pendants, or something else altogether for cabinet hardware? 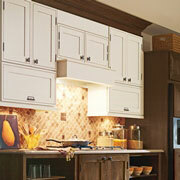 No matter how specific or broad they are, we can help them find the right product for their new kitchen remodel. Kitchen countertops can completely change the look of a kitchen, so it’s important to choose the right color, material, finish, or brand for your client. We have a range of styles to meet different budgets, and our designers can help your client narrow down the choices. Technology has advanced and kitchen sinks have, thankfully, not been left out of the advancements. 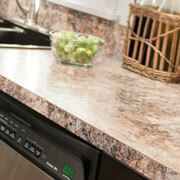 Choose from noise-decreasing materials, multiple basins, and plenty of faucet holes to meet all your client’s needs. 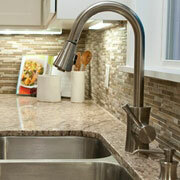 Kitchen faucets can be as utilitarian, simple, modern, or traditional as your client would like. 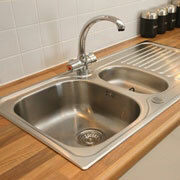 We have special faucets for beverages or filling pots and we even have touchless faucets to speed up kitchen tasks.